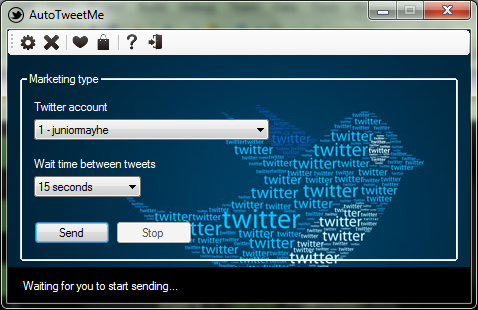 AutoTweetMe allows Windows users to post statuses on Twitter automatically. AutoTweetMe goal is to offer a way to make your business grow using social media such as Twitter. You can use AutoTweetMe to post messages automatically on Twitter and get wider audience for your business. If you have any questions about AutoTweetMe please leave your comment and I will contact you back. This entry was posted in Automatic Tweet and tagged autotweet messages, autotweetme, tweet messages automatically, tweeter.